InventHelp®, America's leading inventor service company, announces that one of its clients, an inventor from Massachusetts, has designed a tractor accessory device that could perform a variety of practical tasks and also serve as a counterweight to provide traction and balance. This invention is patented. The "Major's Tractor Counterweight Combo" could enable individuals to use standard agricultural-type tractors for a variety of purposes. The device would incorporate a dual-purpose roller that could perform different functions when raised and lowered. The unit would feature convenient storage spaces for ropes, chains, hand implements and tool boxes as well as a trailer hitch that could be used to haul both gooseneck and tagalong trailers. The accessory would offer convenient connection to any three-point hitch. 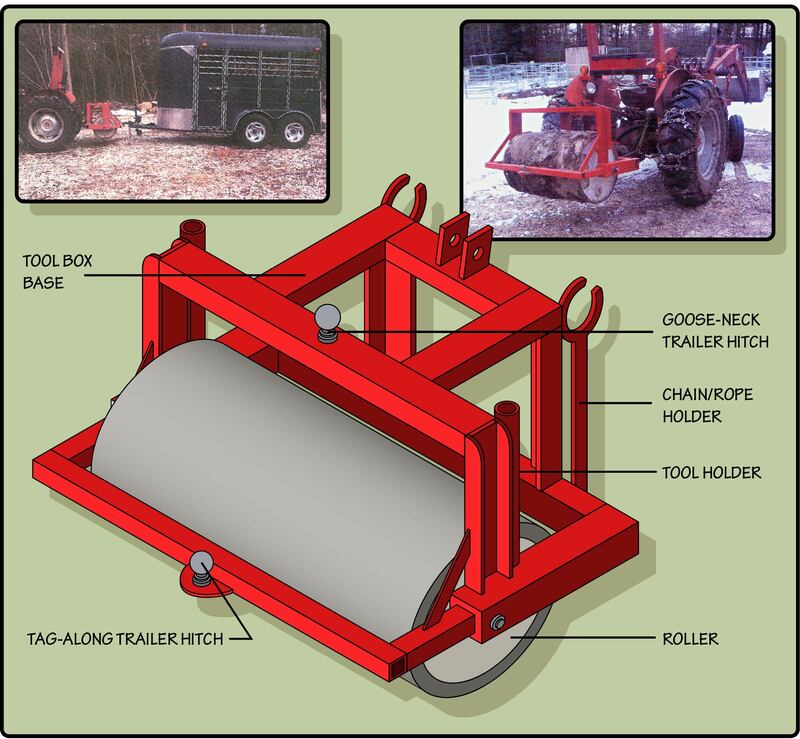 The "Major's Tractor Counterweight Combo" would consist of an outer metal structure, a concrete roller, a rope hook, a tool box base, a tool holder and a trailer hitch. The unit would measure 32-inches high, 32-inches long and 48-inches wide. The outer metal structure would consist of a rear set of left and right vertical struts, a shorter front set of left and right vertical struts and rectangular horizontal frames on top and bottom. The vertical struts and horizontal frames would be contacted at right angles to form an open rectangular structure. The angled bars between the rear struts and the lower horizontal from would provide additional support. A cylindrical concrete roller would be positioned inside the outer metal structure and would rotate around an axis rod that would extend between the left and right rear vertical struts. When raised, the roller would serve as a counterweight for the tractor. When lowered, it could be used to crush and pack gravel and other road materials. The device could be produced in larger and smaller versions. InventHelp® is attempting to submit the invention to companies for review. If substantial interest is expressed, the company will attempt to negotiate for a sale or royalties for the inventor. For more information, telephone Dept. 06-BMA-3009 at (800) 851-6030. Learn more about InventHelp® and their Invention Submission services at http://www.inventhelp.com.